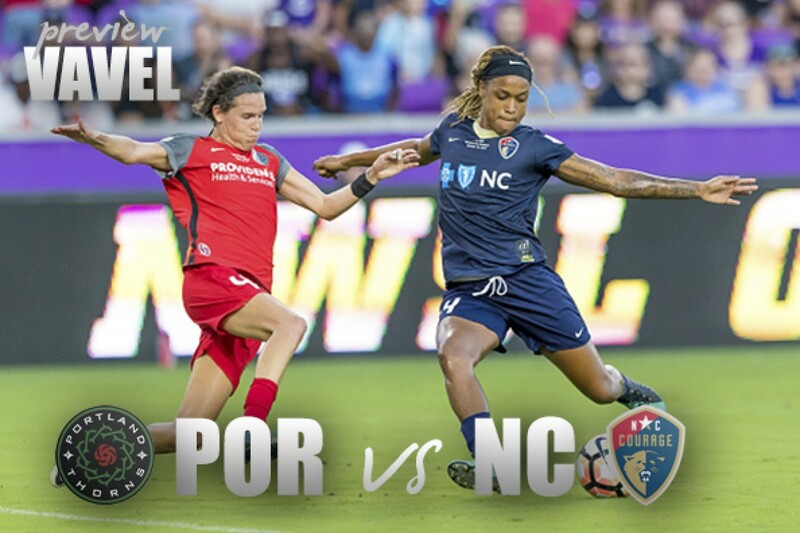 The Portland Thorns will host the first-place North Carolina Courage in a midweek battle. 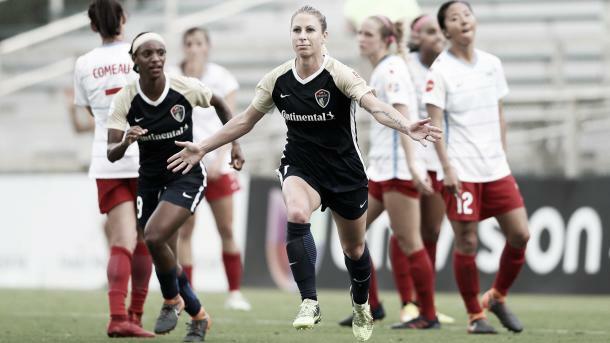 The reigning NWSL Champions Portland Thorns will host first-place North Carolina Courage in a midweek battle and a 2017 NWSL Championship rematch. The Courage are undefeated this season with 26 points and an 8-0-2 record while Portland sits in fourth place with 15 points and a 4-3-3 record. North Carolina has also won all four of their road games this season while Portland has two loses and a tie at home to go along with two wins. This will be the second time that Portland will play North Carolina. The previous match was the first game for both side in March for the opening game of the 2018 NWSL season. Brazilian midfielder Debinha scored the lone second-half goal for the Courage to secure the 1-0 win. Before that match, the teams saw each other in the 2017 NWSL championship in Orlando. North Carolina came in as the shield winners, but Portland and US Women’s National Team midfielder Lindsey Horan scored the lone goal in the 50th minute to give Portland a win and their second championship. Injuries are a significant impact for both squads. For Portland, starting goalkeeper Adrianna Franch is still out due to a meniscus repair, so Britt Eckerstrom will start in her place. Eckerstrom has two clean sheets in seven games played and eight goals allowed combined. Also missing is defender Emily Sonnett who will miss her second straight match with lower back pain. Sonnett, who is also a US Women’s National Team member, missed the previous game against the Utah Royals. Emily Menges, who is coming off her own injury problems, could see her second start of the season along with Kat Reynolds who started last game in place of Sonnett. North Carolina has injury issues of their own. Starting goalkeeper Sabrina D’Angelo is listed as out due to an ankle sprain. Katelyn Rowland will take her place in the starting line-up. Rowland has started four matches this season, recording one shutout and a 3-0-1 record. Also missing will be Irish-international Denise O’Sullivan who will miss the game because of an excused absence. O’Sullivan has played in and started in all 10 games this season, contributing three assists. Jaelene Hinkle, the starting outside back, is listed as questionable due to a right calf strain. Hinkle has yet to miss a game this season. North Carolina comes into the match being one of three teams to allow less than 10 goals this season with nine goals in 10 games. Their offense is also the most productive, scoring 19 goals so far. Forwards Jessica McDonald and Crystal Dunn are both tied for third in the league with four goals each. McDonald is also tied for first in the league with three assists. The Courage also lead the league in assists, shots and shots on goal. Portland also has prolific goal scorers. Their captain, Christine Sinclair, is in first place for the golden boot with six goals on the season. Horan is also tied for third with five others with four goals on the season. Portland is in third this season with 14 goals in their matches, but they have allowed 12, fourth best in the league as well. The match kickoff at 7:30 p.m. PT and is streaming live on go90.com and the go90 app which is available on iOS and Android devices.